We’ve been waiting for it! 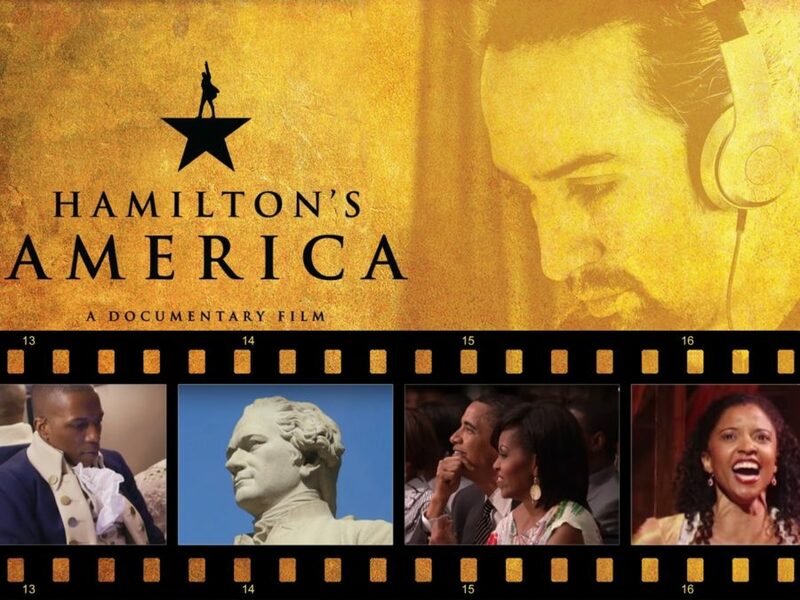 Hamilton’s America, the highly anticipated documentary chronicling the making of Broadway hot ticket Hamilton, aired on PBS on October 21, and Hamil-fans are talking about it non-stop. (Still haven’t seen it? Watch and play #Ham4Bingo here!) What began as an idea for a mixtape became the toast of the Great White Way, the hip-hop industry and beyond; there were so many touching, revealing and even silly moments during Lin-Manuel Miranda and the Ham fam’s journey to Broadway, but here are 10 that blew us away! Someone must have known Miranda’s Ham-jams were going to lead to something truly revolutionary if he got permission to write in Aaron Burr’s crib. Hamilton’s America director and producer (and Miranda’s college roommate) Alex Horwitz captures the master at work. Watching LMM geek out over his own idols is the best. He does so in a sit-down with hip-hop legend Nas. “In hip-hop, no one can tell you you’re wrong—unless the rhymes are whack,” Nas said. “But no one can tell you you’re wrong. It’s your truth.” Preach, Nas, preach. Our turn to geek out: Miranda interviews Assassins and Pacific Overtures duo Stephen Sondheim and John Weidman, and we’re still recovering. The titanic theater trio discusses grappling with putting decades of history on stage in a way that gets audiences on their feet. Talk about the room where it happens! We’ve always wanted to be a fly on the wall in a think-tank sesh with LMM, music jack-of-all-trades Alex Lacamoire and director Thomas Kail. They hang around the piano at Lac’s house, discussing “The Story of Tonight” (of course). One of the most powerful moments occurs when Christopher Jackson visits the slave quarters at George Washington’s home. “From the moment I knew I was going to be playing him, that was the first thing that came to my mind: the reality of the fact that he owned people,” Jackson says. Nowadays, feuds can happen as quickly as someone can type out 140 characters on Twitter. LOJ and LMM head to the Museum of American Finance to take a peek at some artifacts surrounding Hamilton and Burr’s duel, including their lengthy correspondence and the pistols. Hamilton opened off-Broadway at The Public on February 17, 2015, and as Miranda puts it: “Everybody freaked out.” What follows that opening is a hype montage that ends with producer Jeffrey Seller telling the company, “We’re going to Broadway.” The rest is history, wonderfully captured by Hamilton’s America.